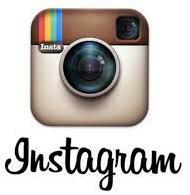 Feedback: 25 comments - leave yours! Naans are one of the very best bread you can serve your guest with a meal. I've been to some of the best bakeries in France and tasted the freshly baked bread in some of the top gastronomic restaurants in Europe, and that still holds true. You can achieve similar results at home. The problem is, you need a tandoor or a baker's oven. 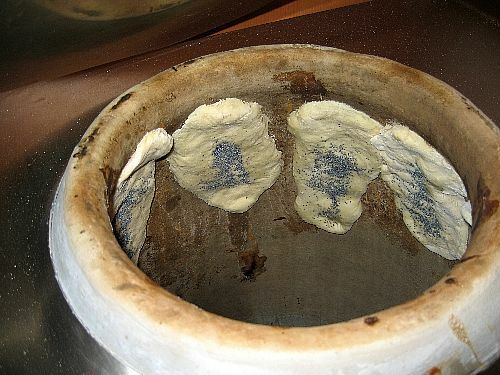 With a regular oven you won't get to the right temperature and the bottom of the naan will not get crunchy. In a tandoor they cook only during 2-7 minutes and are crunchy all round. 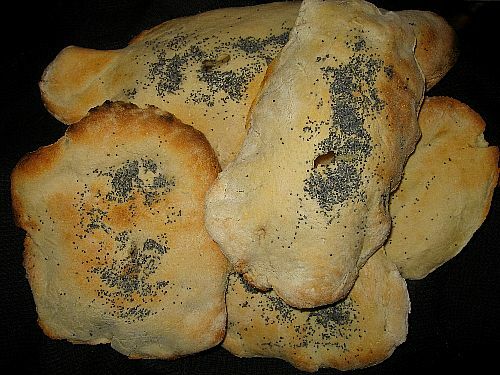 Naan dough contains yoghurt and yeast, which makes for a slightly acidic taste and a leavened bread. 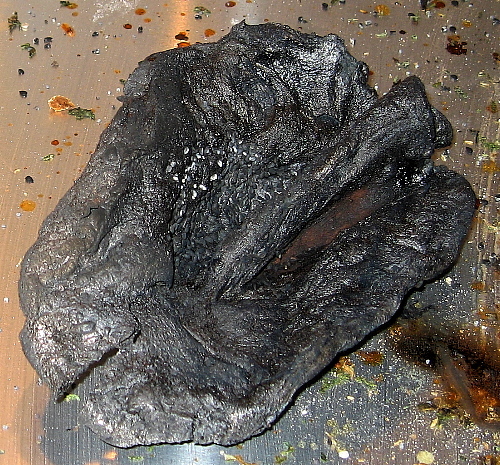 My recipe is adapted from the excellent article on Il Forno, but here we'll use a real tandoor. 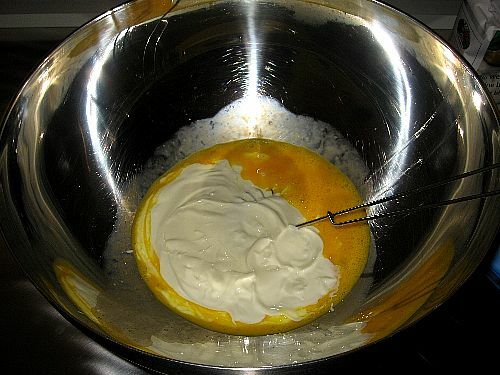 Mix liquid, non sweetened yoghurt. I use about a cup and a half. 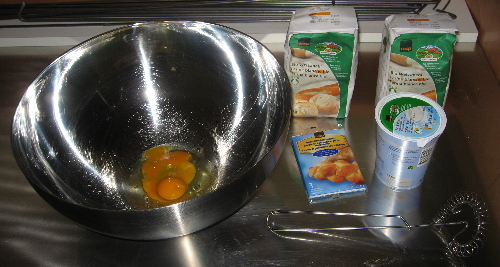 The amount of yoghurt will determine how much flour and dough you will get. 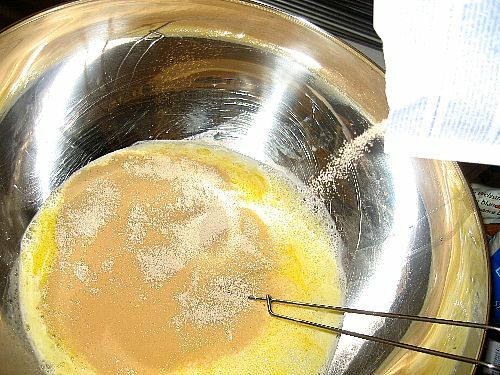 Mix well using a whip. Add 1.5 cup of lukewarm water for each cup of yoghurt. 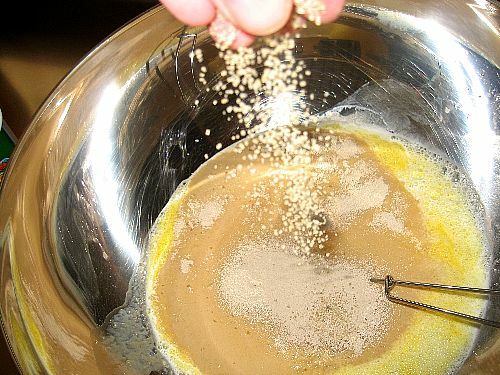 Add some dry yeast or a cube of fresh yeast. 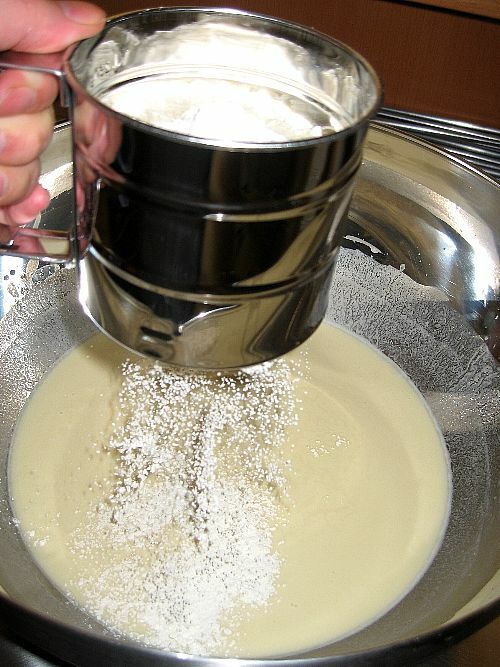 Baking powder is not so good but on the other hand yeast can have an overwhelming taste if you let it rise too long. You can put a pinch of sugar to help feed the yeast. 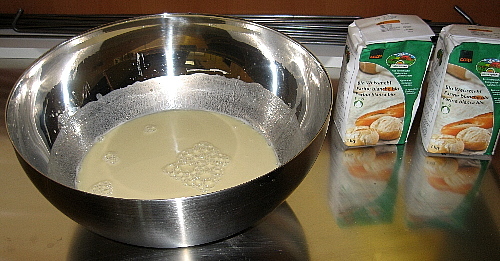 Leave it for about 15 minutes so that the yeast can start multiplying, then add a tablespoon of fine salt for each cup of yoghurt. 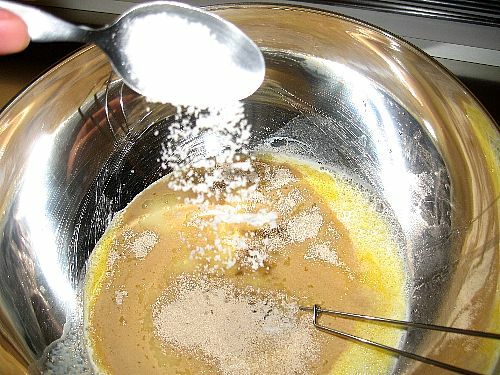 The salt will delay the rising, so you could add it with the flour later as well. 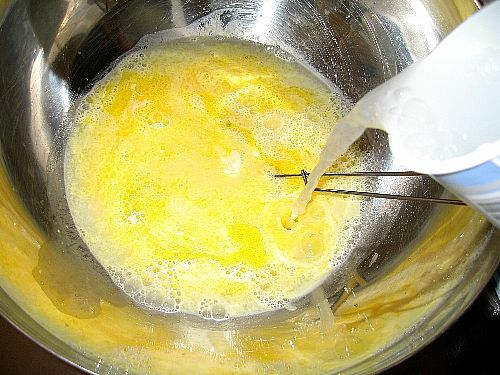 Mix well until you get a smooth mixture. Use white flour with good gluten. The quantity will depend on the weather and the size of your cup, but generally I end up using one kilogram of flour per cup of yoghurt. Sieve it in the bowl. Start with half a kilogram or so, mix it in, then add some more. 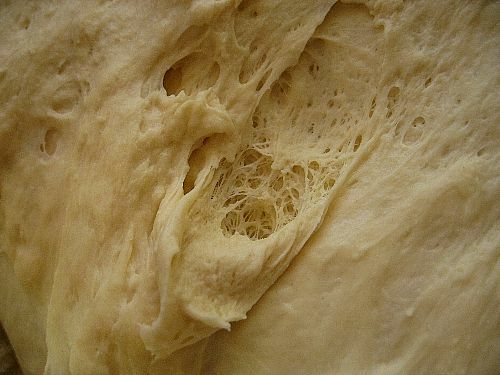 Stop adding the flour when you have a non-sticky dough. Knead well for at least 10 minutes. Cover with a slightly wet towl and let it rise in a warm place until it doubles, about 2 hours usually. 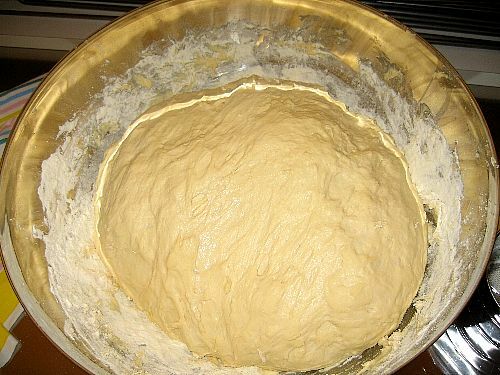 Make sure the dough does not rise too much or the bread won't be good. 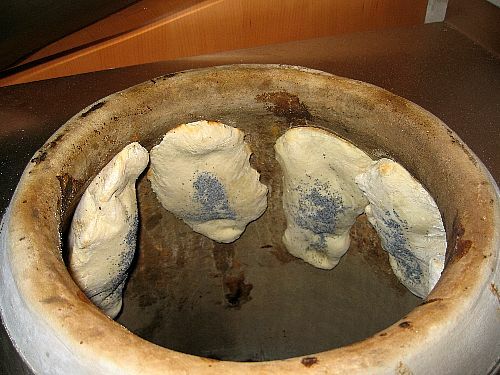 If your dough is too soft, the exterios half of each naan will fall off the tandoor's walls. Heat the tandoor up and wait until it reaches at least 400°F. 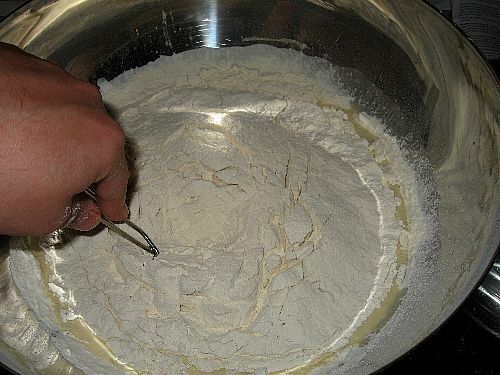 Flour the working surface and your hands. Cut a piece of dough the size of an apple and spread it with your hands until it covers your entire hand. Wet the top a little, then sprinkle aromatic seeds and press to fix them. Put the naans ready to bake on a kitchen towel so that they don't stick. 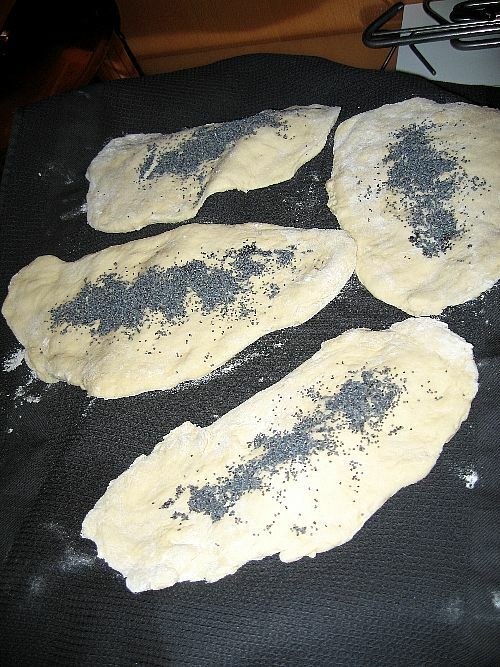 Put a naan on a large kitchen glove, seeded face down. With the opposite hand, take a little water in by dipping your fingers in a bowl and wet the naan's back. 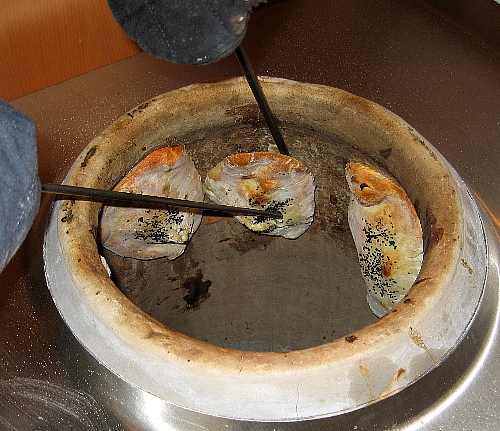 Put your gloved hand in the tandoor and stick the naan firmly against the inside wall. Check that the naan is well stuck, press again if not. I can put at least 7 in my tandoor, some are easier to place than others depening on the angle. 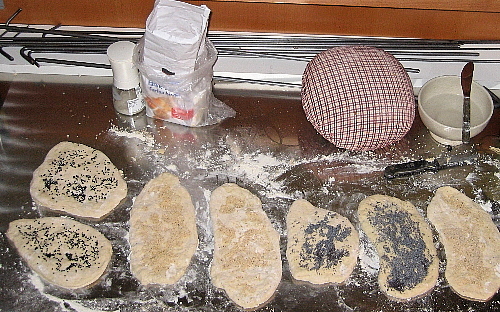 Remove the naans using a pair of bread seekhs. The pointed one sticks the naan in the middle while the flat seekh goes between the naan and the tandoor to remove it. If the naan is stuck, leave it a little bit longer, then try again. Stop the raising when the dough has doubled. If you wait too long the naans will be like small Zeppelins and they won't taste so good. Nigella Seeds or 'black onion seeds' can be found in Indian shops and give a greate, unique Indian taste to your naans. You can incorporate a small layer of filling in your naan to make it even more interesting. Just make sure the naan will not separate in two in the tandoor because the filling split it. Here are some I have tried. Fresh Cheese. The best results I got are with a full fat industrial fresh cheese called 'La Vache qui rit', but you can definitely try with many other cheeses. Blue Cheese. Keep clear of super strong cheeses like Roquefort and use a lighter blue cheese like Fourme d'Ambert. Ideal with a sweet potato soup! Pesto. Please do not used canned pesto but make your own using fresh basil, pine nuts, crushed garlic, salt, grated peccorino and a very small amount of oil and water. You need to make a very dry pesto or the naan will split in two. Great results!